"No one can get out, not even the killer." 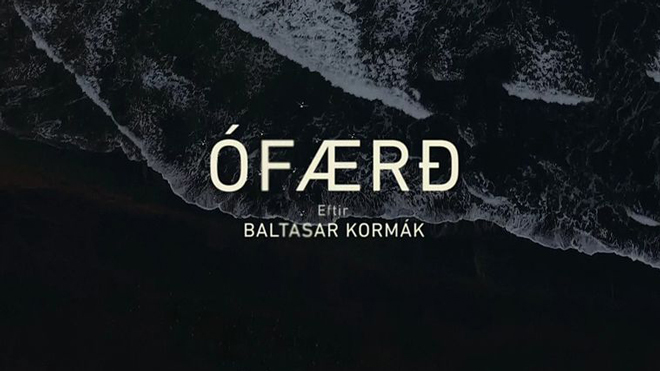 Börkur Sigþórsson’s opening title sequence to Icelandic crime series Trapped is an intimate minute of surface and tension. In its slow glide through aerial footage and close-up photography, we hover gracefully over field and flesh, cliff and clavicle, the skin of the earth, the raw sweep of the human form. The deep cracks of time and the dust of generations pile upon our bodies, ever on the cusp of collapse. 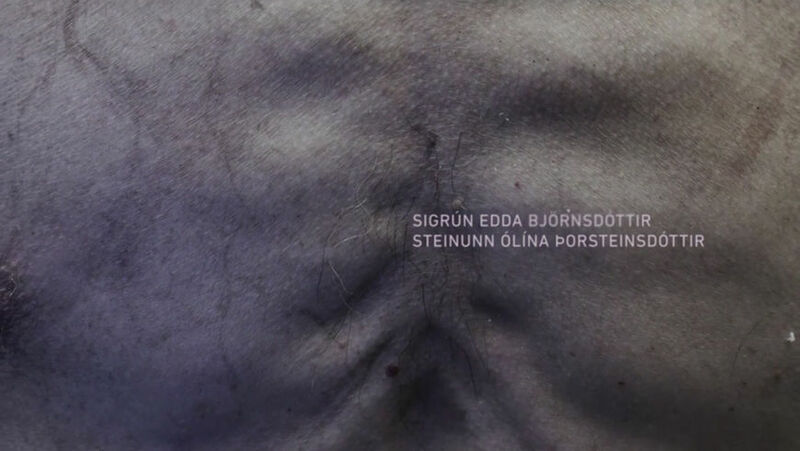 Jóhann Jóhannson and Hildur Gudnadottir’s impressionistic score is strong, the strings and solemn voices pulling us into the sea, the sound of gulls a final farewell. The journey is unsettling in the most disarming way and – like the openings to Twin Peaks and True Detective – the setting is positioned as a major player, a character in itself, mercilessly exerting itself upon those caught in its grip. The sequence blurs the lines between external and internal, space and self. You really get a feel for the place. 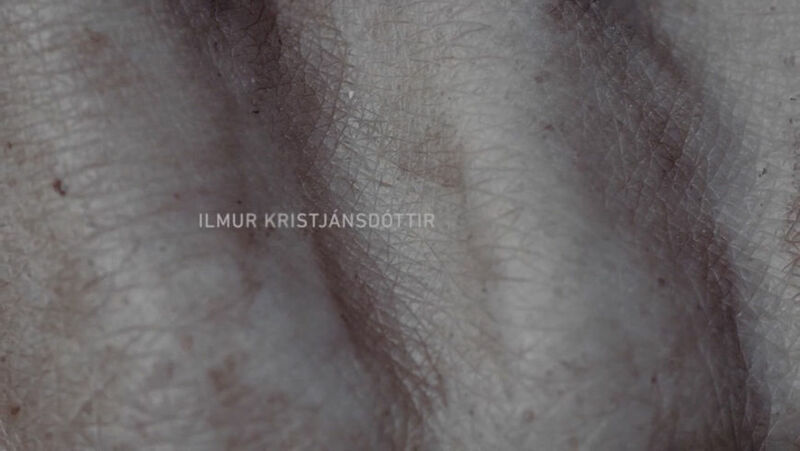 A discussion with Director and Photographer BÖRKUR SIGÞÓRSSON. 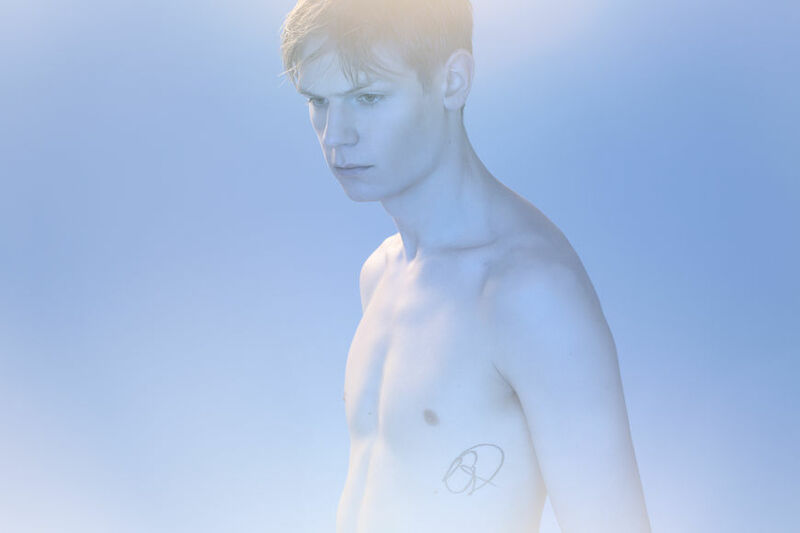 Börkur: I started out as a photographer in my native Iceland and then branched out into directing music videos. I signed with a production company in the UK and spent the next 10 years working there, directing music videos and commercials. In 2008 I directed and wrote a short film called Support. It was only one minute long and got me a lot of exposure. I continued working in commercials while simultaneously developing longer format material. In 2011 I released another short film, the 18-minute Come To Harm, which caught the attention of Baltasar Kormákur, the creator of Trapped, who eventually brought me on to direct two episodes, episodes six and nine. Now I'm working on my first feature film, MULES. That's scheduled to go into production in the summer. 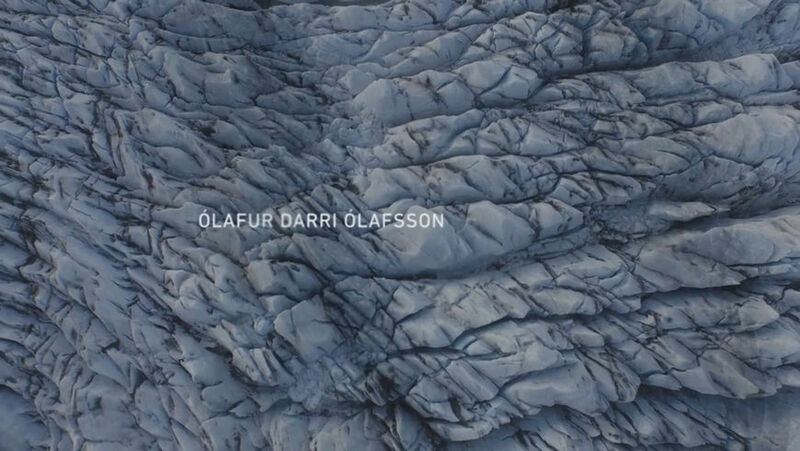 Is this your first title sequence? This was my first foray into title design. What was it like shifting into that realm? 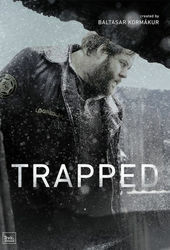 My experience in commercials and music videos informed my approach for Trapped. My background in photography helped me a lot as well, since most of the techniques I used for the sequence are based on my previous work in stills. Did you direct the episodes of the show first, and then do the titles? Yes, while we were still shooting the series I approached the producers at RVK Studios and told them I’d be interested in pitching ideas for the title sequence. At that point they still had their hands full putting the show together, so we all kind of forgot about it. Then as I was putting the finishing touches on the edit for my episodes, they asked if I had some ideas to pitch. At that point I had the advantage of being fully immersed in the world of the story and had a relatively easy time putting together a concept that reflected the spirit of the series. What kind of mood or feeling did you want to evoke? I wanted it to be a hymn. 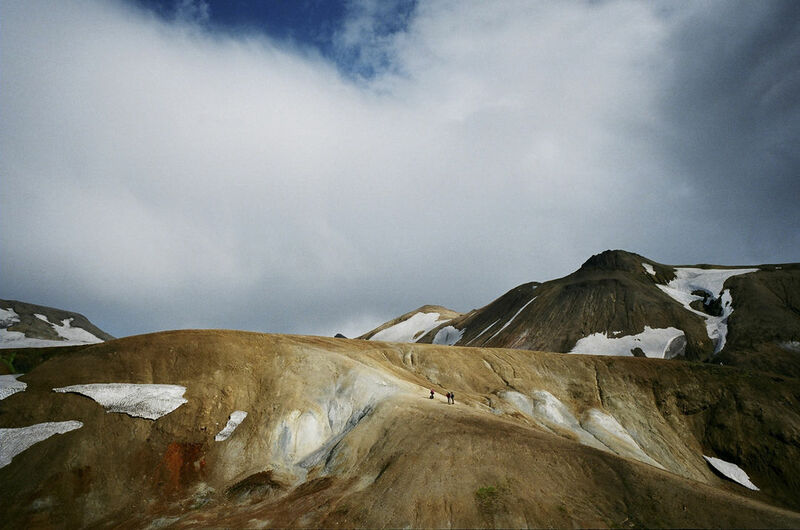 It was intended to provoke a sense of abandonment and isolation, and be equal parts sinister and solemn – which is very much the impression of Icelandic landscape in general. Iceland is a beautifully bleak place. Knowing that, where did you begin? I’ve always been interested in the obvious parallels between the human body and landscapes, and have made series of photographs in the past using the body as a concept, void of character. There’s a saying in Icelandic, “hold er mold”, which directly translates to “flesh is soil” and – aside from the obvious religious allusion – it is often used as a cynical response to something that is unavoidable and destined to happen. And that seemed fitting for a crime story where bodies keep turning up and comeuppance seems imminent. So my pitch to the producers was simple and to the point: aerial images, shot perfectly vertical and bordering on being abstract, intercut with close-ups of corpses. 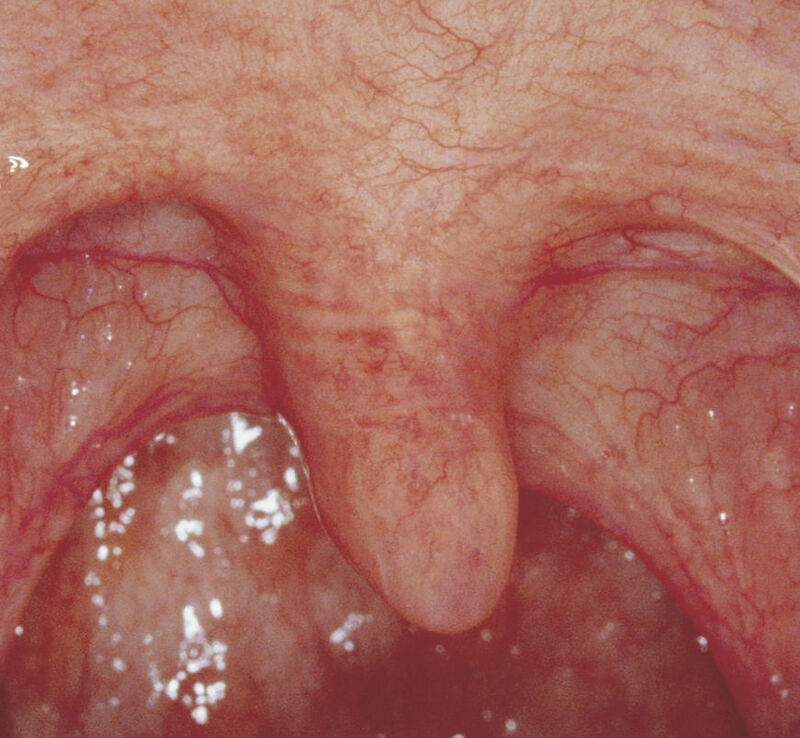 A living body is full of tension, vibration, and tiny involuntary movements. Let’s talk about the aerial footage and the macro photography. How did you capture that? 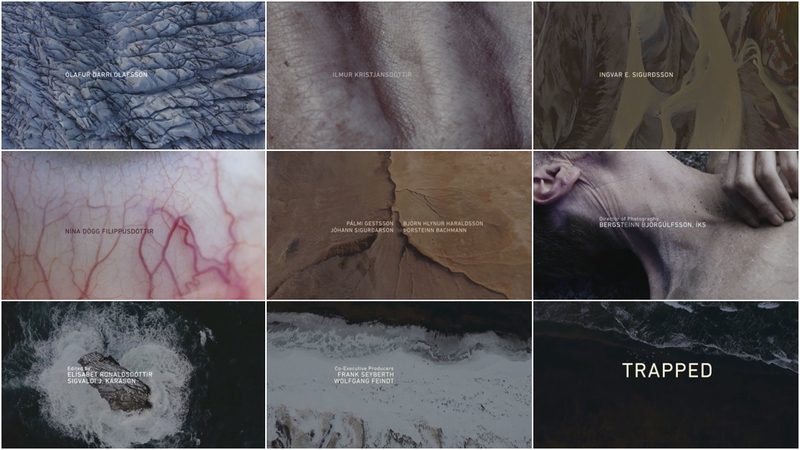 I wanted a smooth camera gliding across the textures, bodies and landscapes alike. That was achieved with a drone and a 4K camera for the aerial footage, but it was trickier for the bodies. Since the producers were unable to provide me with a fresh batch of corpses to photograph like I initially requested, we ended up casting living souls to play the parts of the cadavers. But for the kind of close-ups I wanted it’s impossible for a living person not to produce movement. 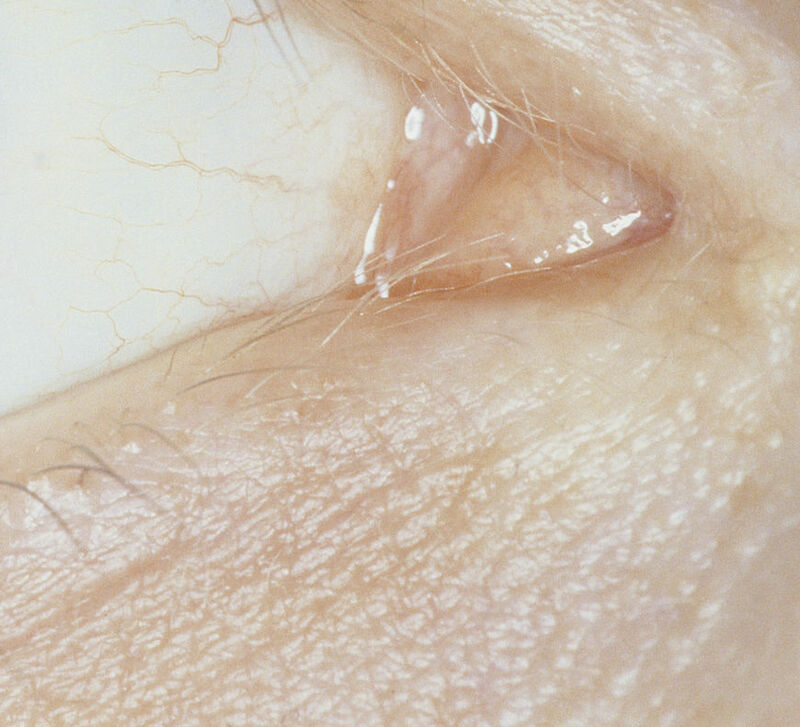 A living body is full of tension, vibration, and tiny involuntary movements. I quickly realised I would have to use still photographs and create the camera movement in post. I looked into using a digital Hasselblad to capture the resolution I needed but the shallow depth of field that comes with using medium format was very limiting. I settled on using the new Canon EOS 5Ds since it has medium format resolution – 50 megapixels – without the shallow depth of field, and that enabled us to zoom further into the material in post and create the exact camera movement we were after – that corresponded with the movement of the aerial footage. That is what gives the edit its fluid pace. Once you had all that footage, how did you put it all together? Compositor Henrik Linnet at RVX used the Foundry’s Nuke for everything that had to do with compositing, such as camera projections onto simple geometry, 3D camera tracking and minor paint fixes. Then Adobe After Effects was the obvious choice for the title animation. The stills received an initial treatment in Adobe Photoshop, then after all the compositing was done, the grade was finished off in DaVinci Resolve. What elements of the sequence are you most happy with? 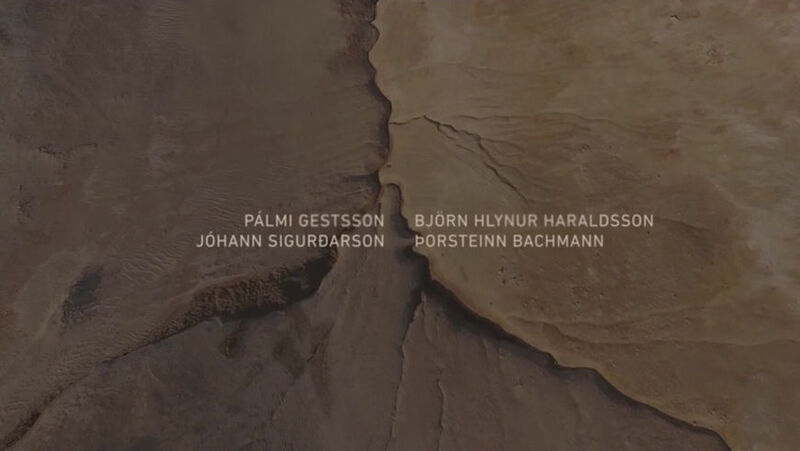 I’m particularly happy with the amazing piece of original music that Jóhann Jóhannson and Hildur Gudnadottir wrote for the sequence. I just hope the visuals do it justice. When you watch a film or TV show, is the title sequence something that you normally notice and think about? Yes, absolutely. It’s a perfect way of priming the audience in advance of the story and getting them in the right frame of mind. It’s essentially an establishing scene, almost always impressionistic and rarely literal, which is exciting for both the audience and the filmmakers. Alfred Hitchcock understood that perfectly, as does David Fincher. What are your personal favourites? Hitchcock’s Vertigo, Norman Jewison’s The Thomas Crown Affair, Fincher’s Se7en all spring to mind. True Blood, Twin Peaks, and True Detective are also examples of TV shows that have made great use of the title sequence. I’ve been binging on Italian cinema, from Fellini and Rosselini to Paolo Sorrentino and Matteo Garrone. I’ve got a way to go.